Learning to play the piano is a fun and exciting experience! I believe that it is not only good for your spiritual well being but also your brain. A digital piano for beginners is going to be a great pick as it will stand the test of time and won’t be outgrown right away. Although I believe the Roland FP10 is an amazing keyboard and currently the best pick, I recommend checking out the Alesis Recital Pro as it a little bit cheaper. 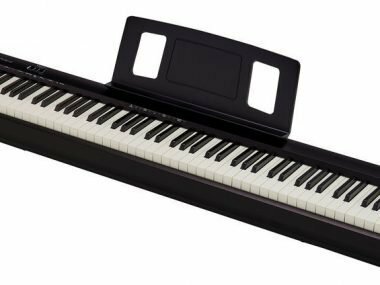 It is my opinion that a digital piano is a smart choice for beginners as you are getting a quality instrument that is nowhere near the weight or price of an acoustic piano. You will get a lot more out of them than a traditional cheaper keyboard. If you or your child are very interested in learning the piano, I would recommend looking at these digital pianos I have presented below! One thing I want to address right away is that a lot of people are showing keyboards as digital pianos on their websites. There’s a difference and in this post, I am going to focus mostly on digital pianos. If you are looking for classical piano songs to learn for beginners, here are my favorites. The difference with a keyboard and a digital piano is that keyboards typically have more sounds and can start at a more budget price. They typically don’t have weighted keys and feel a little bit cheaper. A keyboard will typically be a little bit more portable as well, however, digital pianos are starting to become sleek and slim. Looking for a cheaper keyboard more geared towards kids? Check out my kids piano post where I fully break down a bunch of great products. In my opinion, this is hands down the best choice when on a budget. It’s brand new and it’s really a nice instrument. I recently did a full product review on the FP-10 that you can check out here. The main thing to note is the Bluetooth technology and the key-bed. With the key-bed, you will be really surprised with how it feels since the keyboard is so cheap. This truly feels like some of the better beds I have played on. This is really a great keyboard. From the key-action all the way to the sound, Roland made a great product here. The B1SP is Korg’s beginner level digital piano. This is recommended by a lot of instructors for beginners as it a look at a serious instrument for a reasonable price. I really like the sound system on this keyboard. The speakers are loud but crisp and there’s also a headphone jack in the back of it in case you live in an apartment or need to keep it down. One thing I like with the B1SP is that it comes with three built-in pedals to the stand. This is a great product for the price. The speakers and the keys put this a step above most of its competition for beginners. 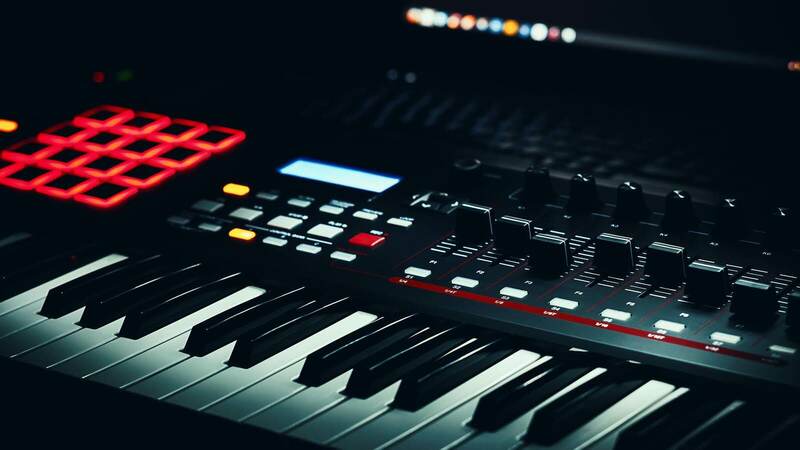 If you are enjoying this post, I recommend checking out the best instruments to learn for music production here. The Privia PX-160 is one of the lighter digital pianos coming in at only 24 pounds. In years past, I wasn’t a huge Casio fan. However, recently, I have really been liking their products. The keys on the PX-160 are something to note as they get heavier on the lower end. I like this feature as this is what real pianos feel like. You should have the keys feel lighter in the highs and heavier in the lows. When you get the Privia, you are also getting two free months of lessons. I believe this is one of the better picks for beginners to intermediate. The key-bed is great and the sound is pretty close to something like the Yamaha P-115. If you’re a beginner, I recommend checking out my post on the best metronomes for piano here. The sound on the Recital Pro is surprisingly nice. I personally think Alesis has been stepping their game up and I think the Recital Pro is a win. For such a cheap price, it’s hard to find a nice sounding keyboard and this is one of them. The Recital comes with five different realistic sounds, including organ and bass. 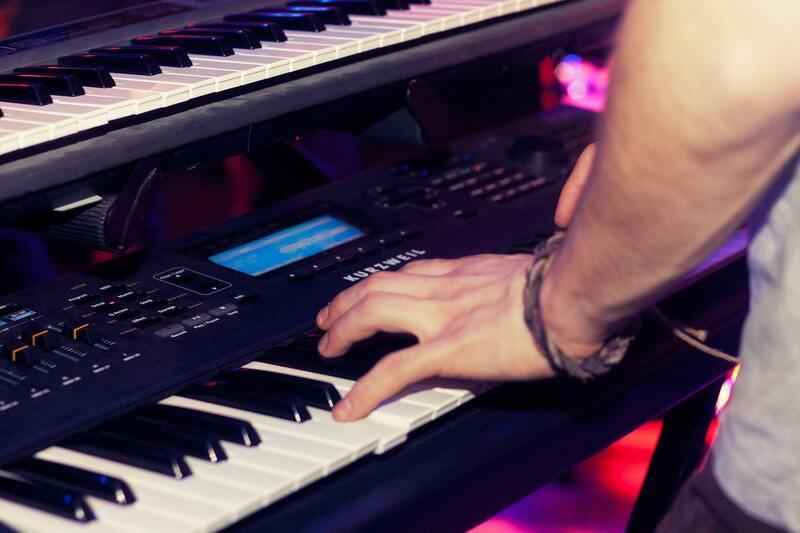 Click here to read more about Alesis keyboards in general. I think that the Recital is a good choice for beginners. I think this is a step up from the Rhapsody 2 as I just prefer Alesis over Williams. This Williams Rhapsody 2 88 key weighted keyboard is the upgrade from the Williams Legato. It comes with 88 fully weighted hammer-action keys that have a pretty good realistic feel. A nice feature with this digital keyboard is that it comes with aftertouch. Aftertouch is the pressure sensitivity of when the notes are being held down after you struck them. This feature is good for something like a Rhodes piano where you want to hear some vibrato at the end of the note. This instrument is on the heavier side which makes it not as convenient as some of the more portable electric pianos. The Rhapsody 2 comes with a headphone jack in case you need to play and not disturb others. The key-action on this keyboard is okay, but I wouldn’t recommend this to someone who has played piano for a while. Let’s take a look at some of the specs. I think this is a decent product. It’s not by any means the best, but it has everything you need in a keyboard. Medeli is a brand that I have previously not really heard of. They were found in Hong Kong in 1983 and have been making keyboards since. I decided to dig into this keyboard as I had been reading some pretty positive reviews about it. The keys feel nice and heavy for this price range. Finding keyboards that have heavy weighted keys is not an easy thing to for anything near this price range. I was actually surprised with the sound on the SP4200. I don’t believe it competes with a few of the others I have mentioned, but it definitely seems like a step above the Wiliams Rhapsody 2. The Medeli is a nice look at an instrument that is geared towards beginners but also can be used for many years. I don’t think I would put this up with the nicer Roland’s or Yamahas though. The Yamaha YPG-235 is a 76 key keyboard that comes with nearly 500 built-in sounds that are sure to entertain you. It also comes with Yamaha Education Suite, which is an advanced learning system that is built in. Yamaha Education Suite teaches you to play by breaking down songs into individual components, like pitch and rhythm. Yamaha makes great products for beginners and the YPG-235 is a keyboard I like to recommend. The reason why it’s technically a keyboard and not a digital piano is because it comes with 500 different sounds and isn’t primarily made to emulate the closest thing to an actual acoustic piano. The YPG-235 comes with 30 different songs you can play along with, as well as a recording mode. Let’s take a look at some more of the specs below. The Yamaha YPG-235 is geared towards beginners and for that it is perfect. Since it’s only a keyboard, there are no weighted keys so make sure to keep this in mind. The Yamaha P71 is going to be very similar to the P45 and that is a good thing. Once again, with the P71, you are going to be getting a quality piano for a good price. This is another instrument that you will get years of use out of. We tend to recommend the P71 and P45 for beginner 88 key keyboards because they are hard to outgrow, whereas some of the other keyboards around this price range are easy to outgrow. It’s a full-size piano with 88 keys and also weighted keys. Weighted keys are important because that’s what you’re going to be playing on when you go to get lessons. Having 88 weighted keys for beginner’s in instrumental in the long-run because the keys help so much with finger dexterity. It comes with dual mode, which allows you to split the keyboard and get different sounds in each hand. The piano also comes with a sustain pedal when you purchase through Amazon. Let’s take a look at some of the specs below. I typically recommend keyboards that are cheaper for kids as the keys are easier to press down. For adults, digital pianos are great since they have weighted keys and typically better speakers. The biggest difference being a digital piano was designed to replicate an acoustic piano as best as it possibly can. A really nice 88 key piano can get extremely close to the overall aesthetic, feel, weight, and look of an acoustic piano. 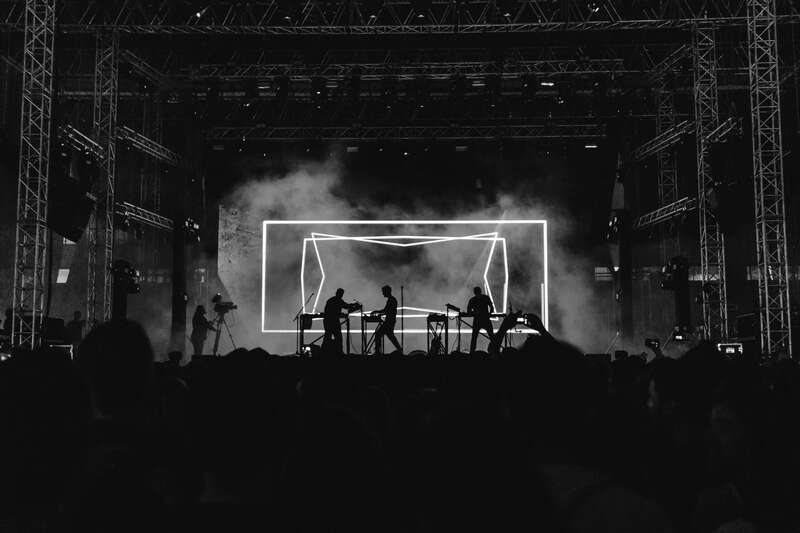 As technology is getting better, musicians are starting to go the electric piano route, simply because they are much more convenient. Don’t get me wrong, if you can afford an acoustic piano and have the place for it, I would still recommend one. A keyboard is going to be more so the entry level. Keyboards aren’t typically going to have weighted keys and they’re also going to look and feel cheaper. They will probably have more sounds than your digital piano, but the quality of the sounds might not be the greatest. A standard keyboard is built for beginner’s or kids to test the waters before buying something like an acoustic piano. A digital piano is typically going to have 88 keys and will be designed to emulate an acoustic piano as best as possible. I recommend eventually getting one of these as you can play them for the rest of your life. No, especially not in this day and age. A quality instrument these days can last forever and give you all the features you need from a piano. The best rule of thumb when buying a digital piano is to not break the bank before you know how serious you are about playing the instrument. I’ve seen many people spend far too much on a keyboard to only just give up before giving it a chance. If you are someone who wants to learn the right way and doesn’t want to spend too much, our pick is the Alesis Coda Pro. It’s quality, and it’s still cheap for an 88 key keyboard. If you are a musician who plays on an acoustic piano but looking for something lighter and more convenient, then yes, spending the extra money will be worth it in the long run. Do I Need A Sustain Pedal? If you’re spending the money already on a piano, then the answer is yes. Sustain pedals are very cheap and also really important. Once you play with a sustain pedal, not playing with one is annoying because it’s hard to play smooth and connected. You don’t have to spend a ton of money on a sustain pedal to get one that will last you a few years. Just like anything in audio, typically the more money you spend, the higher the quality you’re getting to a certain extent. As far as what type of sustain pedal, it’s all preference. Some people love the feel of the traditional piano sustain and they want one like that, however, others like the square sustain pedals more. When I perform live I like to move around so I take the rubber off the bottom of my sustain pedal so I can push it around. I have always found the traditional piano sustain pedal annoying when playing live because you have a smaller pedal to step on. My foot constantly gets caught and doesn’t hit the sustain pedal properly. Whereas with the cheaper square sustain pedals, it’s much easier to hit and the durability isn’t terrible on them. These will break over time, but you should be able to get at least a year out of them as long as you’re not crushing it when you hit it every time. I believe the answer is no. However, I do believe lessons can be extremely helpful in the beginning. With all of the free content of Youtube and instructional videos, you can take your game pretty far if you are dedicated on your own. Getting lessons in my honest opinion will only help your progress. If you have the budget, I would suggest getting a few lessons and seeing how you are progressing. I would recommend checking out my guide on key signatures and the treble clef if you are new to piano. There is some extremely helpful music knowledge in here. Learning the piano is by no means easy and it can become very time-consuming. Before purchasing an expensive keyboard, make sure you are committed and truly ready to learn. If you’re not 100% committed, I would suggest finding something very cheap to just test the waters out. Do you have to keep it down frequently? If so, make sure whatever you pick has a headphone jack. If you go this route, look for a decent pair of headphones. You can sacrifice speaker quality if you are going to be using headphones often. If you have noise restrictions, check out my favorite headphones for digital piano. Weighted keys are great for adults and kids who are motivated. In the end, the extra weight will greatly help your finger dexterity as a pianist. The quality of keys is getting pretty great on a lot of the newer keyboards, so this is a big plus. Weighted keys are going to be an important part of building your finger dexterity in the long run, but many players begin to learn on semi-weighted keyboards or even non-weighted. I started on a cheap Casio keyboard when I was 11 and it had 49 keys. The big thing to keep in mind here is figuring out how serious you are about playing the piano. Some will come with stands and others won’t. Make sure you identify this before purchasing as you want to make sure have a stand when your instrument gets to you. If you don’t have the budget for a stand, you can easily set your keyboard up on a table temporarily This isn’t ideal as the height will not be what you want or need. Here are my favorite keyboard stands that I recommend you checking out. Do you have experience when it comes to playing the piano? Leave a comment in the section below if you have any tips for beginners! For instructions on how to clean your piano, check this piano polish post out.